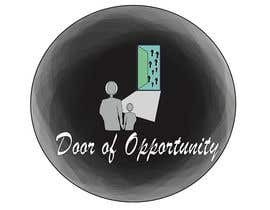 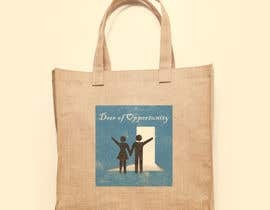 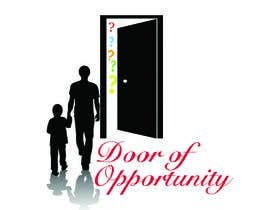 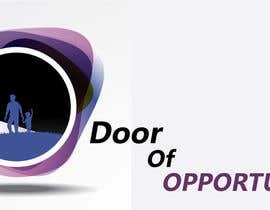 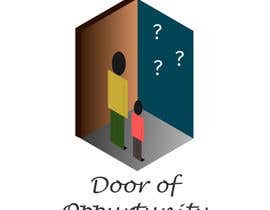 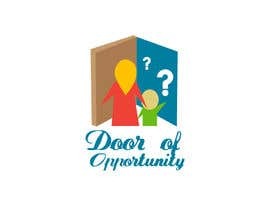 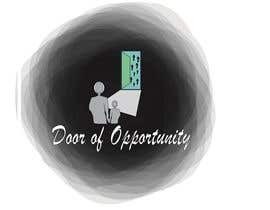 I need a logo that is an open door and a person with a child standing in front of the door with a few small questions mark on the other side of the door with the words Door of Opportunity with it in cursive letters. 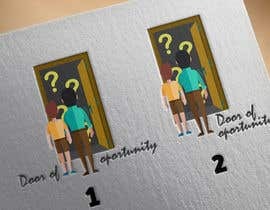 Design needs to have an slight angle view. 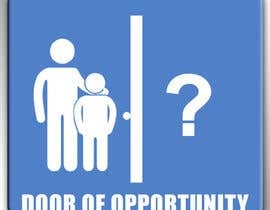 Needs color. 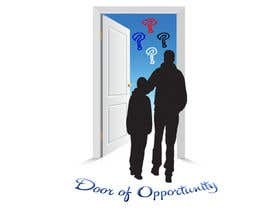 If you think you can create something to say door of opportunity with a person and child, with question marks, and door with your own design then have at.